We love hearing from our friends who have traveled with us! Please write us a review and upload some of your favorite moments from your trip. If there is ever anything we can assist you with, please don’t hesitate to reach out to your tour operator directly. I can’t begin to thank you……..I mean that from the bottom of my heart. I know I already have a larger group of people for next year, but these ones that came are forever changed. They laughed, they cried (for joy) they were deeply moved and Matti and Abbott were spectacular. They won’t stop thanking me!!! They know you are the best!!!! I was just a ride along and encourager. Of course, they weren’t just holiday travelers, they knew their Bible and were sincerely making a pilgrimage. They just had no idea how wonderful it would be. Thanks so very much!!! I don’t know how to write Matti and Abbott to thank them, but please convey that for me. 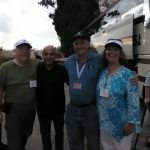 Zola Tours has been hosting pilgrims in the Holy Land for over 35 years, teaching and revealing the Bible from a Messianic Jewish perspective, and Immanuel Tours has been our land agent for almost 20 of those years. Immanuel Tours staff and services are over-the-top excellent and professional; yet at the same time they treat their clients like family, with a personal touch! 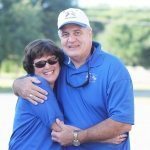 They oversee and ensure each part of our tours is handled with perfection and that we and they provide an everlasting, monumental, never-to-be-forgotten Holy Land experience for each of our pilgrims! We cannot sing their praises enough, and we give them the highest and most honored accolades and recommendation possible! If you are in need of the BEST land agent in Israel, PLEASE give them a chance to prove everything we say and believe about them! Lina OliverThank you so much for a very well organized tour/pilgrimage to the Holy Land. Maria SisonYou have a very respectable/trustworthy company and I will pray for your continued success. I was fortunate to join the Holy Land Pilgrimage provided by the Immanuel Tours and sponsored by Father Joel Lopez of Illinois, USA on November 6-14, 2013. I have to say that it is a once in a life time experience that has strengthened my faith and helped me grow spiritually and the memories of which I will treasure for the rest of my life. Father Joel was as good as it gets—so much fun to be with. I think that he will attract many pilgrims in the furure just by his personality. But of course the wonderful experience would not have been possible were it not for the presence of our driver David and out guide Asher Vaza. Asher has such love and passion for the history of Israel and the Jewish Faith and it showed whenever he spoke which was so captivating and always transformed us all to that amazing time. He has a vast knowledge of history which was very impressive. I’m old and have worked hard all my life and have gone to so many places and participated in many tours and have not encountered a guide as good and as moving as Asher. He is an asset to your company. Many in the group said that they will only recommend Immanuel tours of the Holy Land if Asher and David are on it. and We loved David and Asher. I do not think Father Joel will like another driver and guide aside from those 2. They work so well with each other and have such respect for each other that the whole group commented on it. Of course, that fact just added to make the experience even more enjoyable. Father Joel, David and Asher is a combination that is hard to replicate. On our last evening in Jerusalem I met The CEO of Immanuel Tours and his daughter Susan. It was very nice that they both came to meet us. We all appreciated that very much. The whole company and especially those 2 seem like the people I will want to have travel dealings with even in other places. 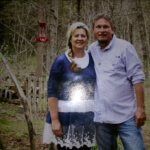 You have a very respectable/trustworthy company and I will pray for your continued success. I know that you will bring more pilgrims to the Holy Land and beyond. Greg and Katie HollowayWe consider them not just our tour company but they have become our Israeli family. 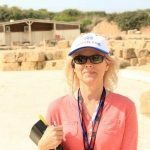 Linda ArnoldWhen I go back to Israel, I will only travel with Immanuel Tours. TeresaWe will continue to lobby for Israel here in the U.S. And will recommend Immanuel Tours to anyone going to Israel! We had the trip of a lifetime!! Thank you and our wonderful guide, Ilan! He is a fantastic guide. So knowledgeable and hard working. We learned so much from him. We are so very grateful to him! We thoroughly enjoyed our trip!! Many thanks to you and Ilan! 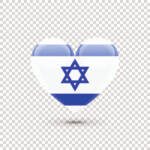 We will continue to lobby for Israel here in the U.S. And will recommend Immanuel Tours to anyone going to Israel! 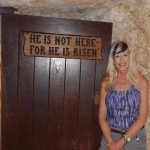 GinaAgain, thank you Immanuel Tours – it was a life changing experience and you made it happen.